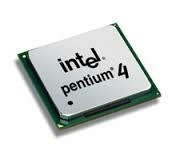 I have an old Dell Intel Pentium 4 2.53GHz (Northwood B? ), 1 GB ram, and its hardware is good. I just want to wipe the whole damn thing (after dumping files, etc.) It is obviously not a dual core 64-bit processor—does this mean I should just stick with Xubuntu? I would PREFER Loki! Thanks for taking the time to point me in right direction. Loki (elementary OS 0.4) does not support 32-bit processors such as yours, but the previous version (Freya, 0.3) does. Still, I wouldn't expect it to run well since the processor is below system recommendations and since Freya will only be supported slightly longer. Luna (0.2) is a better fit for your hardware, but I wouldn't recommend using unsupported software. Personally, I think you would be better off with a distro optimized specifically for older hardware, but if you're feeling bold, why not give Freya a shot? You can find a copy here. Try running Xubuntu or Lubuntu 16.04, they work better in older hardware. You can always customize it so it looks like Elementary. Not the answer you're looking for? Browse other questions tagged release-loki system-installation hardware or ask your own question. Will elementary run well on this machine? Does elementary 0.4 loki supports 32-bit?